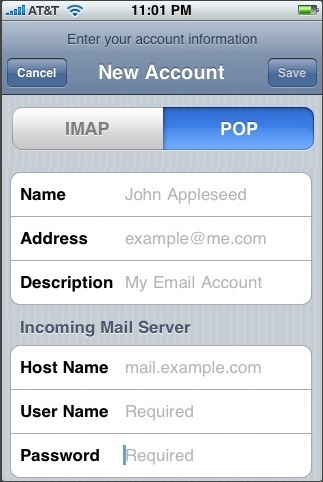 How do I configure the IPhone for my email accounts? 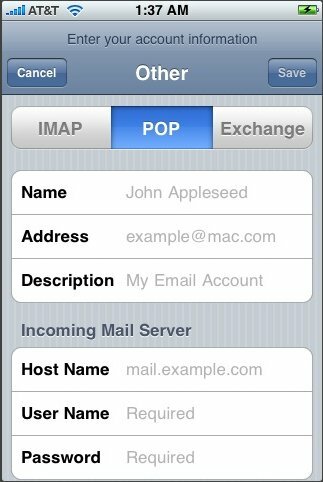 The following article explains how to download email from your HostBreak.com account to your iPhone. 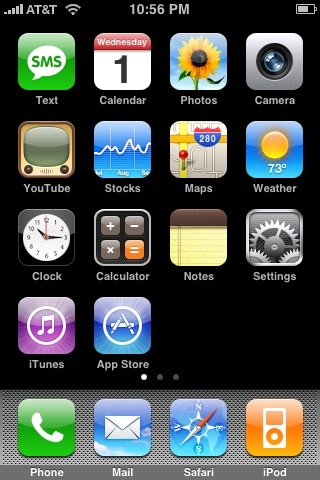 From the Dashboard, click Settings. 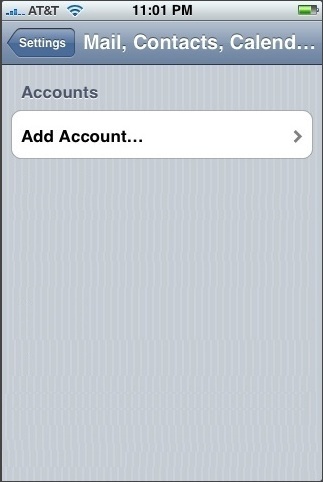 Select Other as the type of account. 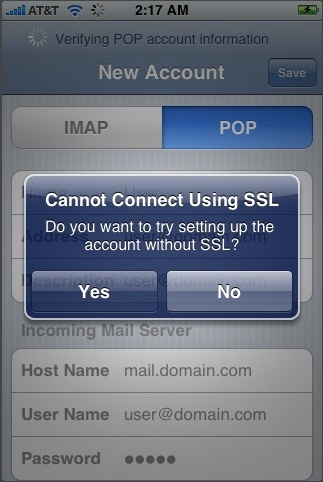 If you see a message that says "Cannot Connect Using SSL", click Yes when asked to setup the account without SSL. 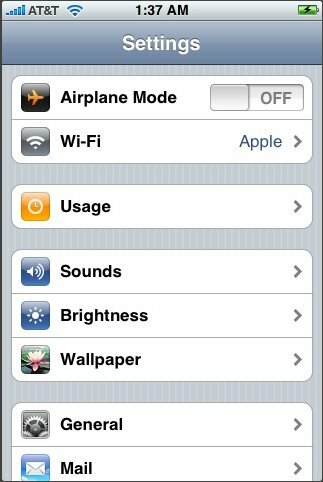 Click Settings for the account you just created. 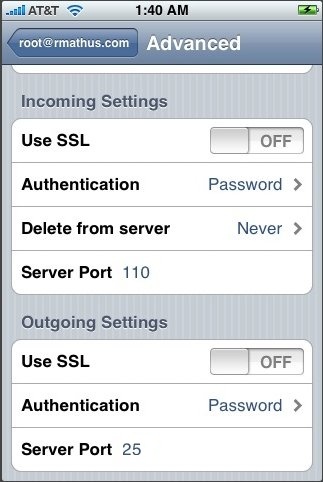 Set Incoming Uses SSL and Outgoing Use SSL to OFF. 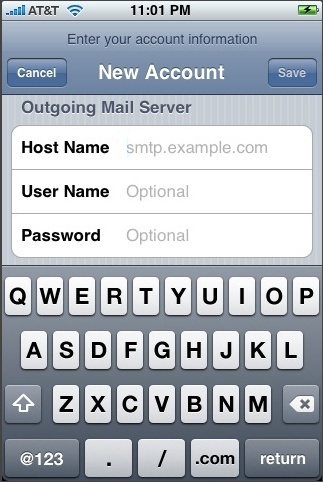 Under Incoming settings, click Authentication and select Password. 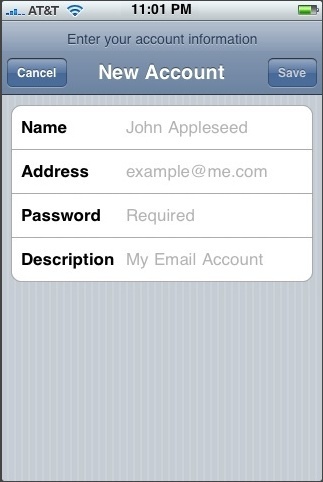 Under Outgoing settings, click Authentication and select Password. 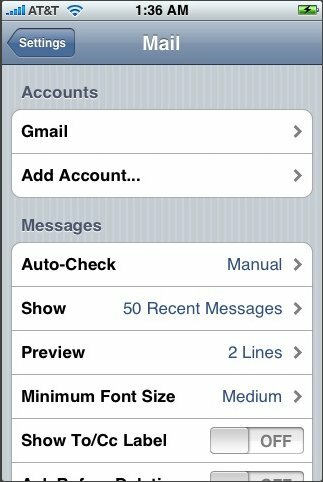 Under Settings, select Mail, Contacts, Calendars. 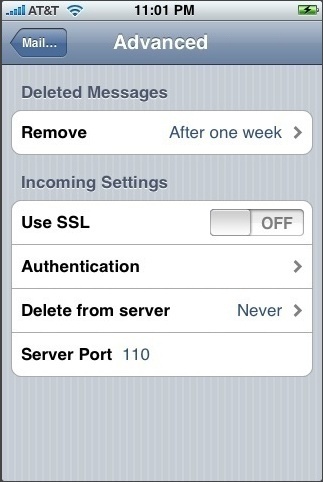 The Advanced settings for the account will be displayed and do not need to be changed. 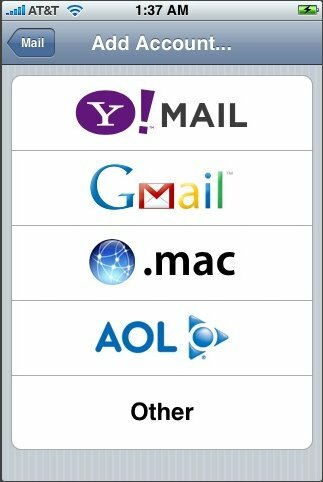 How to Configure Outlook on TLS? 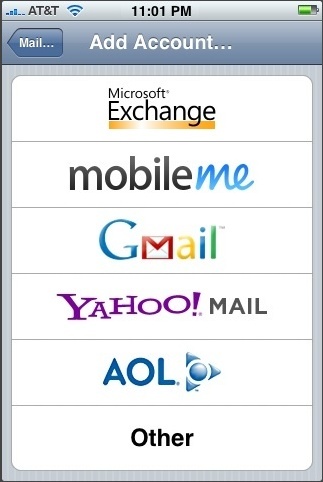 How do I change email account password?